As a federal enterprise GIZ supports the German Government in achieving its objectives in the field of international cooperation for sustainable development. 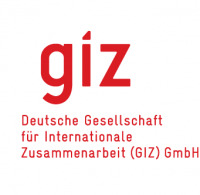 GIZ operates throughout Germany and in more than 130 countries worldwide. We have more than 17 000 staff members around the globe some 70% of whom are employed locally as national personnel.With an international remit and a multicultural working atmosphere we are successful because we share knowledge across disciplinary frontiers. Your professional and personal development is important to us. Whether it is the multifaceted day-to-day challenges or the considerable scope for applying creativity in your work – there are plenty of..
China Professional Led Light Designer And Manufacturer\r\nSmart Electronics Design Co. Limited (SED) a leading LED light Designer and Manufacturer Located in Shenzhen China since 2008.\r\nOSRAM and Philips Authoritative Engineers to Provide ODM and OEM service for you.\r\nAs a best in class Lighting Enterprise SED focuses on:\r\nCommercial LED lights (LED Tubes LED Panel Lights LED Down Lights);\r\nIndustrial LED lights (LED High Bay Lights LED Flood Lights LED Street Lights LED Tunnel Lights);\r\nLED Emergency Power Supply.\r\nThrough years of growth SED made significant achievements:\r\nOver 1 200.. The Conflict Mitigation Assistance for Civilians (COMAC) is United States Agency for International Development (USAID) funded project and implemented by Blumont. COMAC activities will assist civilian Afghan families and communities suffering losses from military operations against the Taliban and other insurgent groups. COMAC builds upon previous USAID Afghanistan programming including the previous Afghan Civilian Assistance Program (ACAP III) activities. 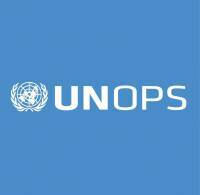 Background Information - UNOPSUNOPS supports the successful implementation of its partners’ peace building humanitarian and development projects around the world. Our mission is to serve people in need by expanding the ability of the United Nations governments and other partners to manage projects infrastructure and procurement in a sustainable and efficient manner. Working in some of the world’s most challenging environments our vision is to advance sustainable implementation practices always satisfying or surpassing our partners’ expectations. With over 7 000 personnel spread across 80 countries UNOPS offers its partners the logistical technical and management knowledge they..
As a federal enterprise GIZ supports the German Government in achieving its objectives in the field of international cooperation for sustainable development. GIZ operates throughout Germany and in more than 130 countries worldwide. We have more than 17 000 staff members around the globe some 70% of whom are employed locally as national personnel.With an international remit and a multicultural working atmosphere we are successful because we share knowledge across disciplinary frontiers. Your professional and personal development is important to us. Whether it is the multifaceted day-to-day challenges or the considerable scope for applying creativity in your work – there are plenty of good..
As a federal enterprise GIZ supports the German Government in achieving its objectives in the field of international cooperation for sustainable development. GIZ operates throughout Germany and in more than 130 countries worldwide. We have more than 17 000 staff members around the globe some 70% of whom are employed locally as national personnel. With an international remit and a multicultural working atmosphere we are successful because we share knowledge across disciplinary frontiers. Your professional and personal development is important to us. Whether it is the multifacetted day-to-day challenges or the considerable scope for applying creativity in your work – there are plenty of..